Hey guys! 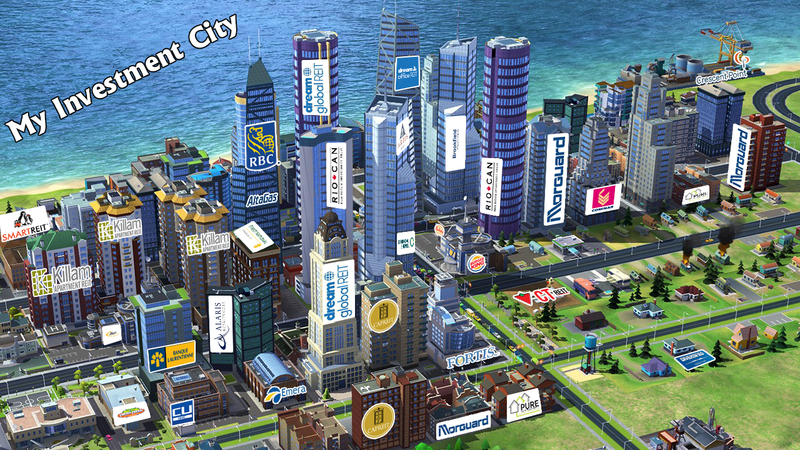 I used this picture from the game called SimCity and I tried to apply all of my investments on the map. My investment philosophy is very simple. I invest in businesses that people use everyday. As years go by, my investments will grow and so is the city. Here is My Investment City. And for the fun of it, I'm challenging you to do the same. Pick a downtown picture that you like, plug in your investment companies, and post it on your blog. This will take some time, but it's fun to see all your investments laid out on the map.